So I thought to myself, I have a finished novel here, I’d like to publish it, shall I go through the conventional channels or shall I have a bash at this self-publishing malarkey that everyone’s going on about? At least two established publishing imprints offered to put the book out for me, but the self-publishing model interests me and I was curious to see if I could make a go of it on my own. From the New York Times bestselling author of Days, Provender Gleed and the Pantheon series comes a darkly comic near-future satire about fate, fame, and reality TV. Luke Fallon and his twin brother Johnny are opposite sides of the same coin, the one a grafter with a sense of responsibility, the other a grifter selling contraband on the street. 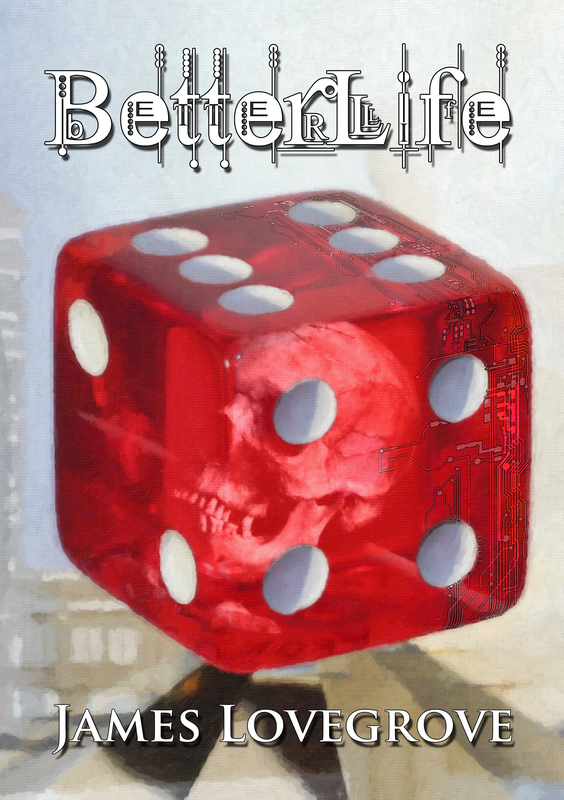 When Luke wins a coveted place on the insanely popular game show BetterLife, he agrees to take part only because it will save Johnny from the wrath of the gangster boss he has swindled. But BetterLife is a poisoned chalice, the prizes as lucrative as the games involved are dangerous. With every round of the competition Luke gets through, the stakes rise. So does the threat to Johnny, despite the presence of newly acquired personal bodyguard Augustine Trebuchet. In a world where luck has become a religion, both Luke and Johnny will discover that for every winner there has to be a loser and for every victory, a sacrifice. Here’s a link if you’d like to buy the Kindle version, and here’s one for the paperback version (for American readers) and the paperback version for UK readers. I will post a further link for the latter once it becomes more widely available through Amazon. If you like my books at all, and if you’re a fan of my earlier, satirical work such as Days and Provender Gleed, I think you’ll enjoy BetterLife. It’s got violence and jokes, which to me is the recipe for a good read! A couple of sample chapters, for your perusal, may be found here.